It felt really strange for weeks after the trim, but it was a totally impractical length for me as I couldn't brush from scalp to end in a single stroke and it took forever to dry. 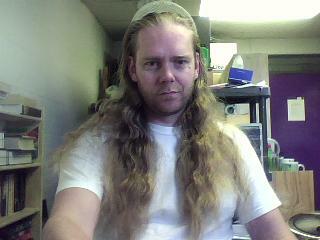 I couldn't sit down with my hair loose at work or it got caught up in the castors of my chair - things like that. I never took any supplements. About the only special care I gave it was to brush through a little jojoba oil after every wash. I forgot to do that the last couple of times and it's really flyaway just now.